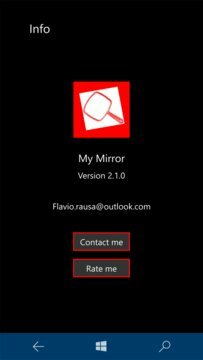 //ATTENCTION: My Mirror for Windows Phone 8.1 will be retired in August 2017. Windows 10 will be required for updates and support. Thanks you. You have to look at your face to see if you're right and you're not at home? This app is for you. 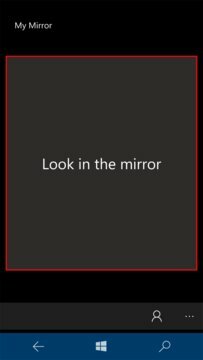 Using the front camera, you can fix your hair or see if you're okay. This is an Universal Windows 10 app that works with all your devices: PC, Tablet, Smartphone and Xbox. It's Free and with no Banner.